Wow, look: Even more anthro animals at war! Is this some kind of a trend? 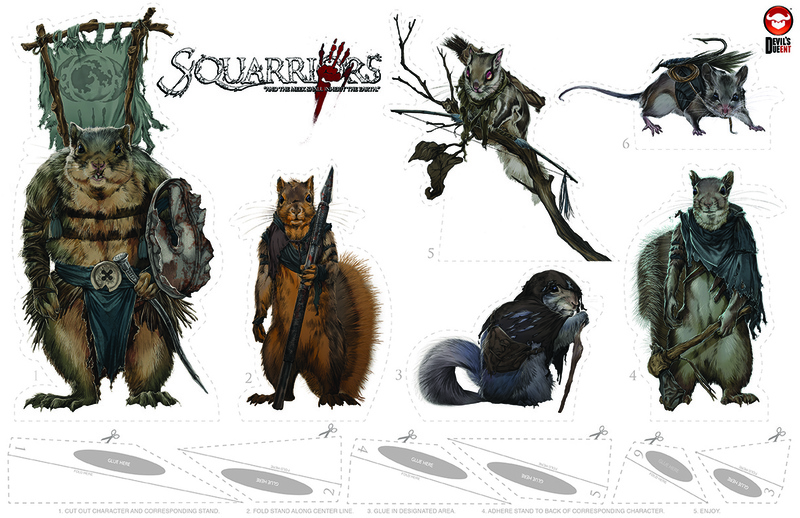 In Squarriors (new from Devil’s Due Entertainment) we join a band of squirrels living after the apocalypse. “Squarriors is the epic saga of warring animals in a post-human world. Specifically a small tribe known as the Tin Kin, and their struggles building a life in the new world while confronting the hostile neighboring Maw tribe. Two tribes of animals find themselves on the brink of war. Will they survive and find peace, or follow humanity into extinction?” That’s the question posed by artist Ashley Witter and writer Ash Maczko in this new full-color comic book series. Like many recent projects it all began on Kickstarter, and now it’s on its way to comic book stores in early December. 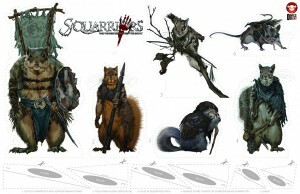 Check out the official Squarriors web site, and a press release from the creators over at Mad Mimi. WARNING: Graphic, bloody images abound. You have been warned.